Welsh art was for many decades caught between the polarities of an international, modernist approach which tended toward abstraction and a national or regional one which was generally more representational. 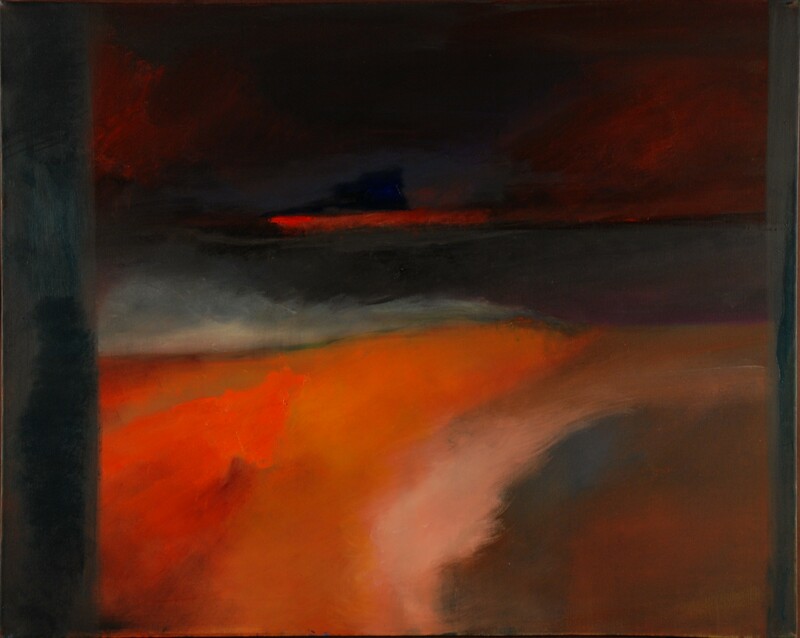 One artist who has successfully tried to resolve this tension is the Swansea-based painter Glenys Cour, whose work is on show at Swansea’s Mission Gallery till Sun 17 Aug.
Cour’s simplified abstract forms are deeply preoccupied with the emotional and psychological effects of colour. Yet, like her mentor the great modernist Ceri Richards, she frequently draws upon the Welsh landscape and its associated myths and memories as a source of artistic inspiration. Among her best known work is a series of collages inspired by the Mabinogion, the cycle of Welsh and Celtic folktales. The current exhibition features a stunning new collection of landscape paintings made from her home overlooking Swansea Bay. These large canvases explore the wide range of emotions evoked by subtle changes in the intermingling of land, sea and sky. They are wonderfully poetic and occasionally sublime, and recall Turner’s impressionistic experiments with light and colour. More poignantly, they show that despite her senior age – Cour, who was a near contemporary of Dylan Thomas and the Kardomah Boys, is now in her 80s – this grandee of the Swansea art scene is still capable of producing lively, energetic art. Glenys Cour: Metaphors is at the Mission Gallery, Swansea, from Sun 20 Jul till Sun 17 Aug 2008. This post was originally published by Buzz magazine. This entry was posted on August 1, 2008 by Huw David Jones and tagged Ceri Richards, Dylan Thomas, Glenys Cour, Huw David Jones, Kardomah Boys, Mabinogion, Mission Gallery, Swansea.